The 1Pangako campaign theme song has been a great vehicle to spread our call for kindness and compassion. The emotion behind our advocacy is made real by the moving lyrics of Gina Luna Bermudo and the catchy tune crafted by Toto Sorioso. The video engineered by ASP Cavite Gerard Atienza on YouTube quickly garnered several hundred views in a few days. We want you to help spread the word to stop the slur -- through music! You can make your own digital music videos or sing the song as an individual or as a group. Let the words inspire you to express your pledge creatively. Don't forget to share via social media and let us know! 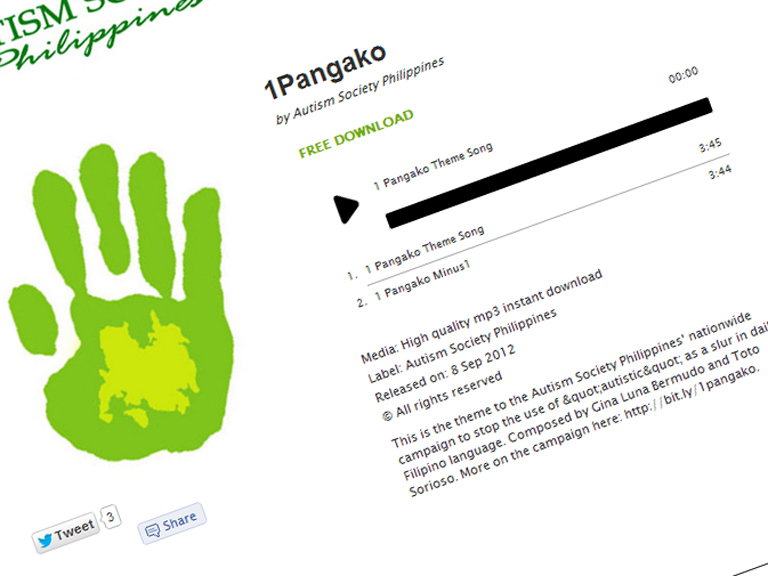 Download "1Pangako" theme song and the minus one for FREE on ASP's Vibedeck page. Sa pagtuwid ng di wasto. Pramis!! Let's go go go! !